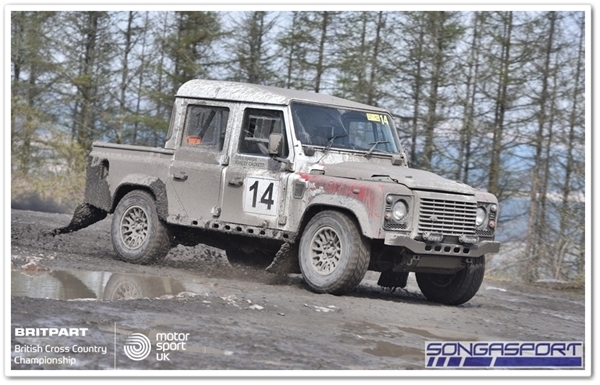 A selection of images from Britpart BXCC round 1 which was held at Walters in South Wales. The Britpart British Cross Country Championship (BXCC) returned in style last weekend with the opening round at Walters won by Adrian Marfell and Paul Bartleman in their Fouquet-Nissan. The organisers laid on a very tough course of almost nine miles in length and, after rain most of Friday, it was very slippery as the crews headed out on the opening run. 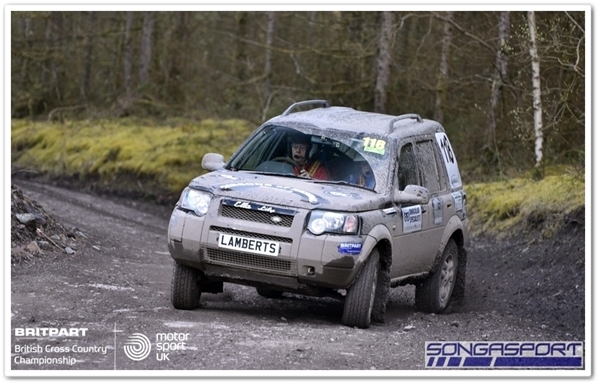 Justin Birchall and Jonny Koonja set the early pace in their Lofthouse Freelander, they were the only crew to break the 14 minute barrier on the first run. Marfell took the lead after run three as Birchall’s car had electrical issues which resulted in a time around two minutes slower than his first two runs. 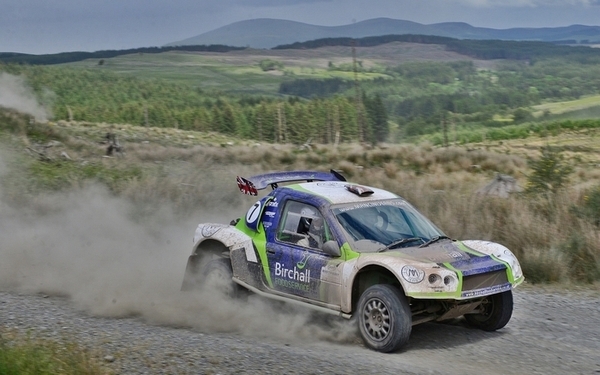 Mark Jacques and Adam Nicholson held third place after the opening three runs with Andy Degiulio and Paul Foley in fourth in their Milner R5 despite a first run puncture which removed part of the bodywork. The initial runs proved troublesome for several crews. Jason Rowlands stopped with a broken drivebelt on his Can-Am X3, Ryan Cooke’s Milner LRM-1 had water pump issues and Mike Wilson broke a driveshaft on his Freelander. With his car restored to full health Birchall was quickest on the remaining three runs of the opening day, reducing Marfell’s lead to 22 seconds. Degiulio was third overnight ahead of Jacques with Richard Wynne-Williams and Matthew Lowe making it three Lofthouse cars in the top five. 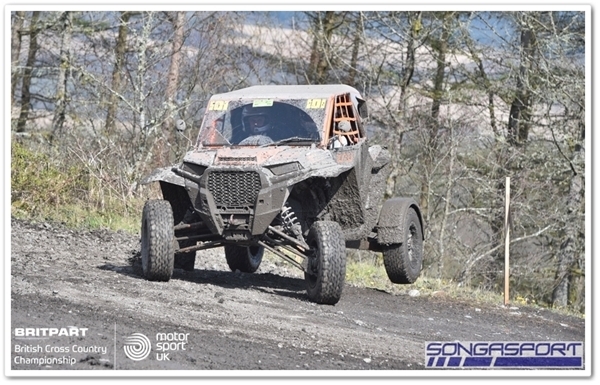 The competitors continued to keep Rabbit Recovery busy with a variety of mechanical issues and accidents including Oisin Riley rolling his Polaris and Mike Moran losing an argument with a tree in his Lofthouse Evo. The crews did another five runs on day two and it was Birchall who was again quickest on the first run of the day, bringing the lead down to 11 seconds. 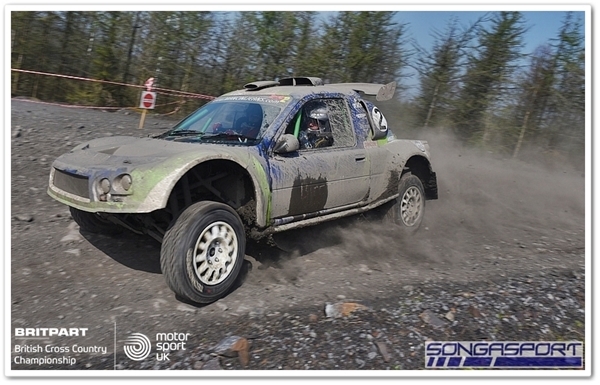 His hopes of victory were dashed on the second run though as a puncture cost around 30 seconds. Marfell had three punctures during the event but four fastest times on the last four runs helped give him a winning margin of over a minute from Birchall. Jacques was promoted to third after Degiulio crashed on run nine but this was only after some late night servicing. “We were checking the car over after the first day and found a problem with the diff,” said Jacques. “Thanks to Ian Gregg, who lent us his welding gear, we were able to get it sorted after working on it all of Saturday evening. I’m happy with third, we were pushing hard and our run times kept dropping until the last couple of laps when the car had some sort of issue – we’re not sure exactly what yet!”. A final run puncture dropped Wynne-Williams to fifth so it was Andy Powell and Mason Kershaw who finished fourth in their Caze Peugeot 306. Richard Keasey took his Rakeway Ridgeway, resplendent in its new eye catching livery, to sixth. 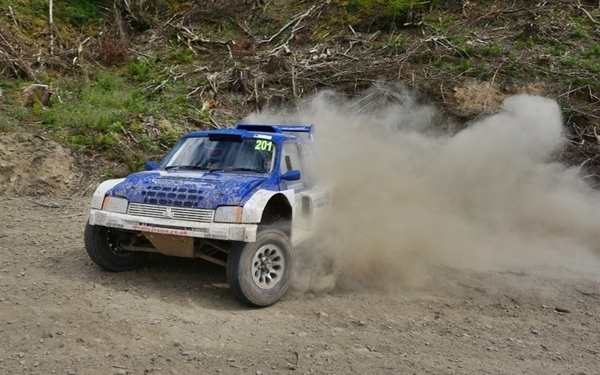 With engine problems on their GSR 206, Martin and Aston Cox purchased a Can-Am X3 for the event and, partnered by Josh Thomas, they finished seventh. In eighth were Phil Ibbotson and Karina James in their BMW M3-engined Metro 6R4, Ibbotson finding that he’s quicker now that he can see where he’s going with his new glasses. Steve Smith and John Griffiths were ninth in their Clio V8 and rounding off the top 10 was Ryan Cooke and Darren Cooke who battled to the finish after several issues with their car. Outside of the top ten Paul Rowlands finished 11th despite rolling his Polaris in front of the TV cameraman and suffering a broken balljoint. Chloe Jones travelled straight from competing in the Abu Dhabi Desert Challenge to race at the slightly less desert-like Walters Arena and she was rewarded with a class win and 14th overall. 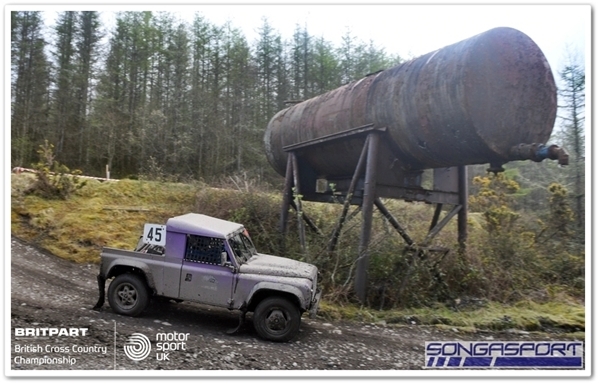 Mike Wilson drove his Freelander in his usual committed manner to finish 20th overall and first in class, his service area resembling a Freelander scrap yard with assorted pieces of broken suspension and transmission. The championship will resume in June in South West Scotland. For more information please visit crosscountryuk.org. 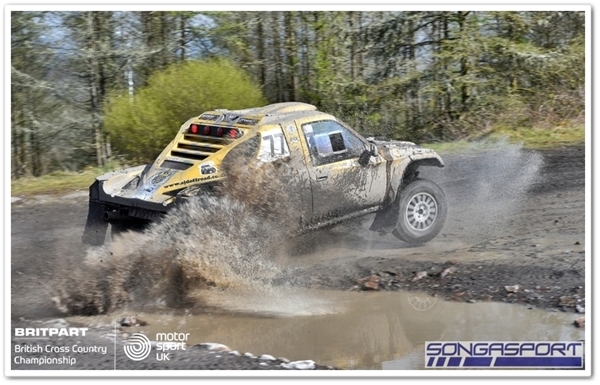 For pictures from the event please visit www.facebook.com/songasportoffroad. Video coverage from the event will be available on www.youtube.com/specialstage. Thanks to all the sponsors of the BXCC: Britpart, Voxcloud, Staffordshire Signs, Par Homes, OFG Land Rover Specialists, Birchall Foodservice, Nicky Grist Motorsports and Bowler. 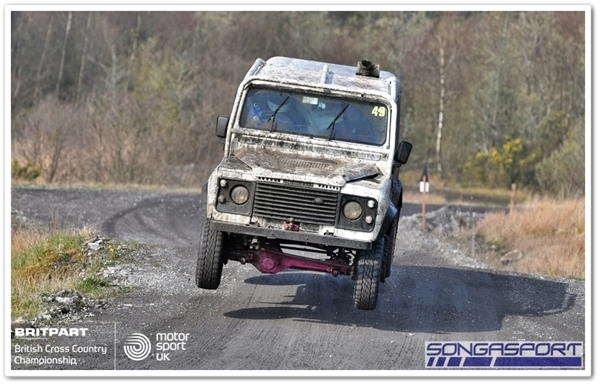 Phil Ibbotson will compete in the Britpart British Cross Country Championship this season, his first full championship as a driver since 2013. 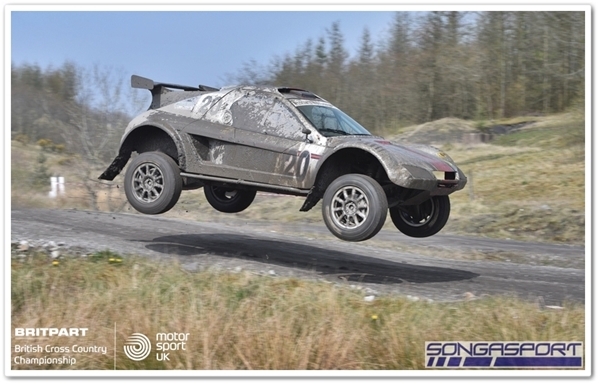 Ibbotson raced his Wolf Joinery-supported Metro 6R4 Evo in the championship for several years before navigating for Andy Powell in 2014 and 2015. He entered a couple of rounds in the Metro in 2016 and 2017, winning the Clubman class at Ceri in 2016. 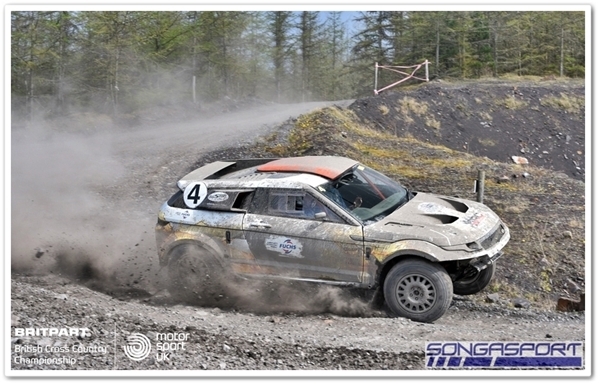 In the navigator’s seat will be Karina James who previously navigated for Paul Harris. Andy Powell will give his Gamber Logistics and Suttons (Ross) Limited-supported Caze Peugeot 306 Cosworth its British championship debut this season when he contests the Britpart BXCC. 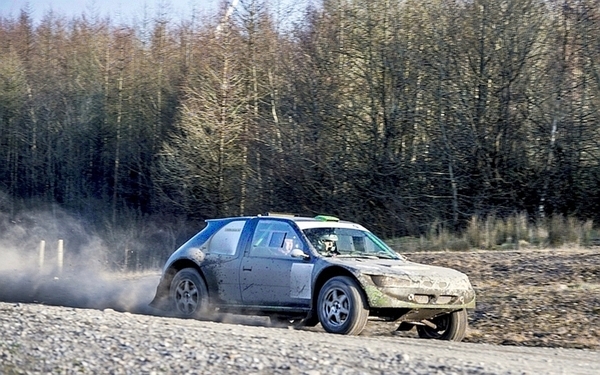 Powell tested the car last year but the BXCC will be the first time he has used it in a championship. He competed in the British championship in 2017 in a Walker-Adams Revolution and before that he had several seasons in a Simmbughini, with a best finish of second overall in 2015. "The car is a massive change from what I've been used to," said Powell. "I'm hoping I've got the talent to compete against a good field of drivers. I'm glad the championship is up and running again with new blood and I'm positive that Jon and his team will do a great job. Mason Kershaw will be navigating for me and we're both hoping for a great season." The entry list for the Britpart BXCC is already over 50% full even though entries have only been open for two days. 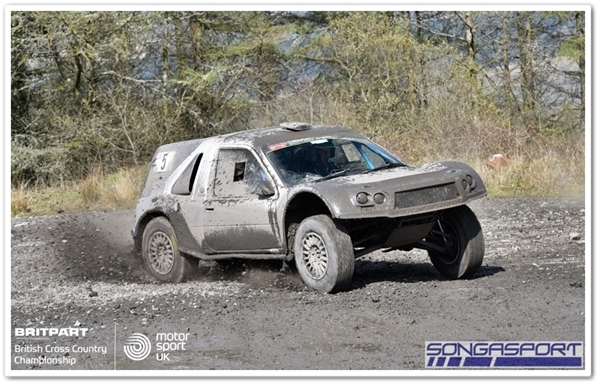 Any crew wishing to enter can do so via http://crosscountryuk.org/competitors/.